This project ended successfully on 10/12/2016 18:00! To express our APPRECIATION to you, we will list your name on the Filmarchiv Austria website! You get to be among the first to exclusively view the rescued, digital version of DIE STADT OHNE JUDEN shortly after its premiere, and enjoy the film heritage at home in digital form via a link. Early Bird – Tickets: Be one of the first who will see the rescued version of DIE STADT OHNE JUDEN for the first time after 90 years as part of a limited screening, shortly after the premiere at the Metro Kinokulturhaus. Popcorn and one softdrink is included! Because it was so nice, here comes a second helping: Early Bird – Tickets: Be one of the first who will see the rescued version of DIE STADT OHNE JUDEN for the first time after 90 years as part of a limited screening, shortly after the premiere at the Metro Kinokulturhaus. Popcorn and one softdrink is included! With your own personal organic-quality carry bag – designed by: ONKAJA –, you can show your support and the campaign slogan, «I Saved the Past for the Future,» with a good conscience in your city. In addition, you will be among the first viewers worldwide to watch the digitized version of the rescued film using your personal link. Receive a very special thank you in the form of a personal video message from our dear colleagues at Filmarchiv Austria – in your mother tongue. Challenge us, because diversity counts! Accompanied by our director, Ernst Kieninger, we will take a small group on a tour through the Jewish Vienna surrounding the Filmarchiv Austria in the second district. You can visit film-historically important sites of Jewish culture with us and take part in an open discussion on DIE STADT OHNE JUDEN (1924) and our work. Of course, you will also get a thank-you mention on our website. A printed «I Saved the Past for the Future» certificate will forever remind you of the importance of your support. In addition, we will express our gratitude by listing your name in the «Retter der Erinnerung für eine wachsame Zukunft» («Saviors of Memory for a Vigilant Future») section on our website. 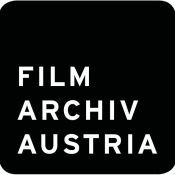 In a small group, you will be taken on an exclusive tour through Archiv der Schaulust («Archive of Visual Pleasure»), the new Filmarchiv Austria exhibition on early cinema from 1896 to 1918. Afterward, we’ll invite you to coffee and homemade cake at the Metro Kinokulturhaus, where we’ll talk about the importance of the film DIE STADT OHNE JUDEN from a film-historical and social point of view. Whether it’s in Graz, Basel or New York, you will be the first to be able to watch scenes from the rescued film material via an exclusive web link, already during the rescuing process. In addition, you can participate in a video conference and chat with our experts about the found material on a limited number of dates. During the rescue operation of the film, you will already get a glimpse of the found material: We invite you to join us in the historical cinema hall of the Metro Kinokulturhaus, where our team will present and explain old and new fragments of the film for the first time. Moreover, we’ll complete this thank-you package with a one-year membership to the Filmarchiv Austria Club. We cordially invite you to a one-day workshop of our digital restoration project in which you will learn about the basics of digital film restoration in practice. During the breaks, we will spoil you with delicacies from our «Grünstern Stadtgartenküche» organic cuisine. And of course we won’t forget to say thanks to you on our website. In a small group, we’ll take you on an exclusive tour through our film depot in Laxenburg, where you can see our nitrate film stocks and thus also the nitrate film roll of DIE STADT OHNE JUDEN. As a keepsake, you will get a frame scan from the film DIE STADT OHNE JUDEN in the form of a high-quality photo print in poster size. Get yourself two tickets for the exclusive premiere of the rescued movie at the Metro Kinokulturhaus in presence of the team. Additionally we invite you to a champagne reception at the premiere and also you will receive a film canister and a unique piece of analog film of DIE STADT OHNE JUDEN. Additionally to the accommodation for you plus one in the historic city of vienna, you will receive two ticket for the exclusive premiere of the rescued movie at the Metro Kinokulturhaus, including a champagne reception as well as a guided tour through the Filmarchiv Austria. This limited package promises exclusive attendance for you and/or your company. For a whole day, we will reserve the Metro Kinokulturhaus exclusively for you and your guests. Whether it’s on the big screens in the two cinema halls or on the screens in the foyer, with your branding in the entire house, you’ll impress everyone. With parallel film screenings in both halls and guided tours through the Kinokulturhaus and the new Archiv der Schaulust exhibition, there’s more than enough for everyone to see. Furthermore, popcorn and soft drinks, provided for every seat in the two cinema halls, will guarantee a perfect movie experience. And, of course, our supporters’ names will appear on the web and on the digital roll of honor in the foyer. Show your cinema spot (up to 45 sec.) in the Metro Kinokulturhaus 60 times and distribute your samplings on the exclusive evening of the premiere of the rescued version of DIE STADT OHNE JUDEN. We will also give you 10 premiere tickets, inclusive of the champagne reception, and 10 limited «Save the Past for the Future» organic-quality carry bags. As a supporter, your logo will also appear on the big screen before the film showing and on the digital roll of honor in the foyer for an entire year. Filmarchiv Austria ist die zentrale Sammel- und Dokumentationsstelle für den Film, ein Haus für das audiovisuelle Kulturerbe Österreichs. Die vielfältigen Sammlungen umspannen eine Periode von über 100 Jahren. Ein wichtiges Anliegen des Filmarchivs ist es, der Öffentlichkeit in verschiedenster Form den Zugang zu seinen umfassenden Beständen zu ermöglichen. Getreu dem Motto »bewahren und zeigen«.